Ruff Day? Paws & Relax! Feeling stressed before finals? 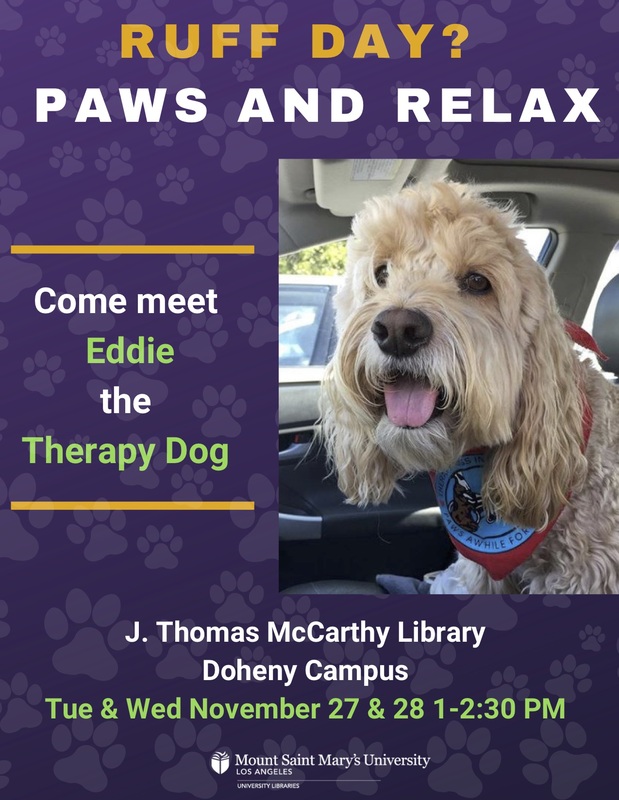 Come hang out with Eddie the therapy dog!